ONExia is representing an exciting new Delta Robot from Codian Robotics. 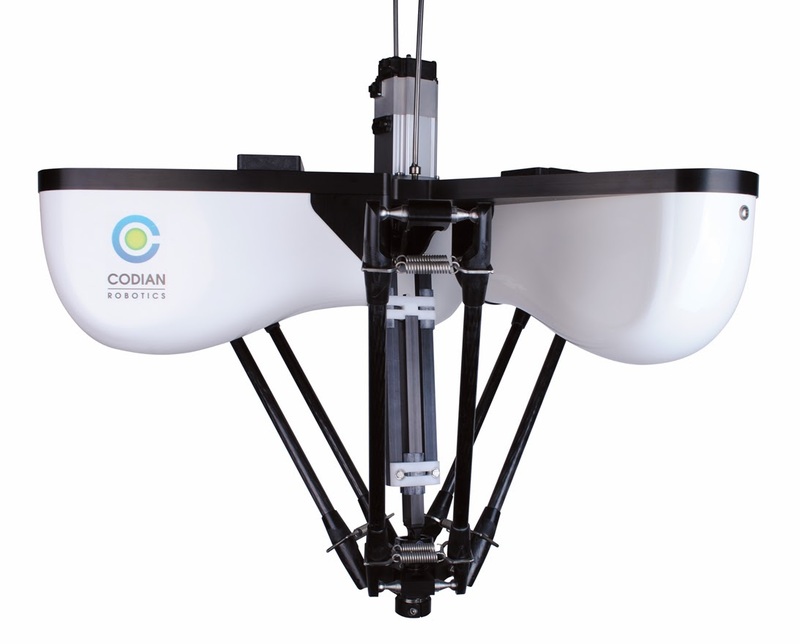 Available in 2, 3, and 4 axis versions with over-all reaches up to 1.5 meters, the Codian Robots cover a wide range of very high performance applications. Perhaps the most exciting aspect of the Codian Robots is the open-architecture controls capability. Codian Delta Robots can be controlled by Allen Bradley PLCs, Delta Tau servo controllers or other popular controls. You can see a Codian Delta Robot in operation at ONExia's Robots in Motion Open House. The Robots in Motion open house will be held on Wednesday, February 26th from 10 AM until 2 PM. Come anytime to enjoy some refreshments and interact with some of the latest Robotics technologies.